Welcome to Green Tea Yoga, the first and original Yoga Studio on the North Shore of MA. Although Green Tea Yoga has transformed throughout the years, it continues to remain a heart centered studio, focusing on community connection, and inner peace. This studio attracts an eclectic mix of individuals, from the beginner student, to the experienced yogi, and provides an assortment of classes and wellness services for everyone. When you come through Green Tea Yoga's front doors, you will feel the love and warmth from our instructors and you will experience an intimate and quaint setting. Our motto is, be true to yourself and trust your inner voice. Check out our website for our class schedule and stop by to see us at anytime. Hope to see you on your mat! Enjoy all the yoga you want in a month for only $100. This is the BEST deal in town. Don't miss out on this opportunity. Gentle: Gentle classes are accessible to almost everyone. They involve breath and movement, easier and modified postures, body awareness, gentle stretching and strengthening, and relaxation. Whether you have specific physical or emotional challenges, would prefer a slower and more gentle practice, or just want the opportunity to slow down and relax, you will benefit from these classes. These are good classes to get a little extra attention from the instructor. Gentle/Moderate: A hybrid class involving a slower pace, building to more of a challenge. Both elements of the gentle classes and basic yoga postures are united with breath. These classes can be a good place to start if you are new to the practice. Alignment and working at one’s own pace are encouraged. Moderate: In these classes, students will be challenged with more advanced options. 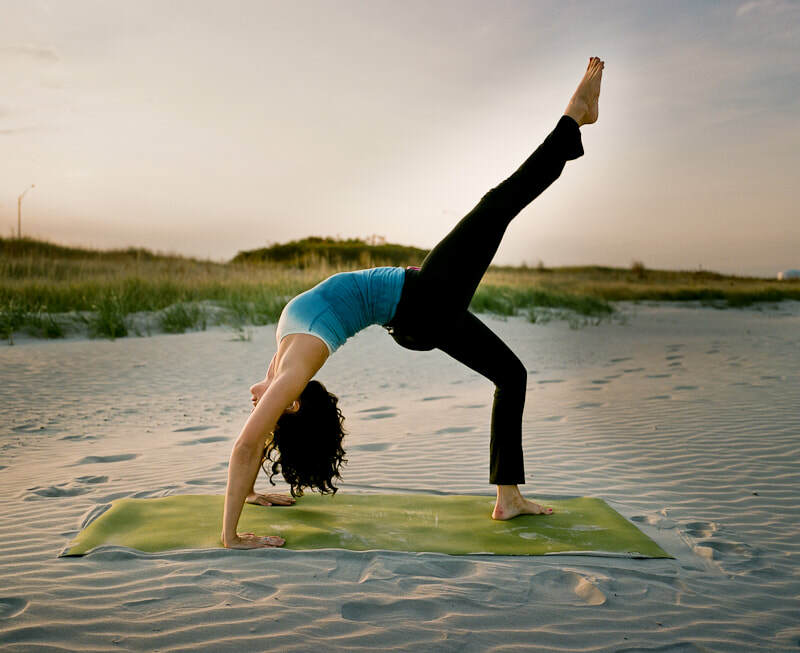 Fundamentals of asanas and pranayama are explored in greater depths. Postures are held longer and personal variations may emerge as spontaneous expressions of one’s unique abilities, energy levels, knowledge and comfort. All Levels: These classes are for every level. The teacher will provide enough verbal and visual cues and modifications necessary to provide a safe and supportive environment for all. Bring in your own individual style and take your practice to the level you feel comfortable with.